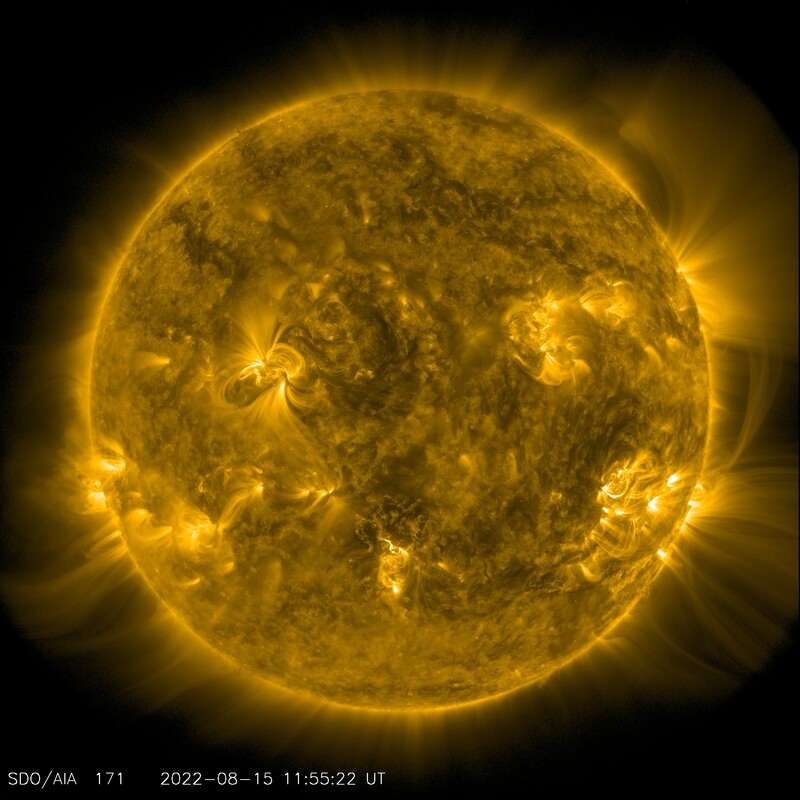 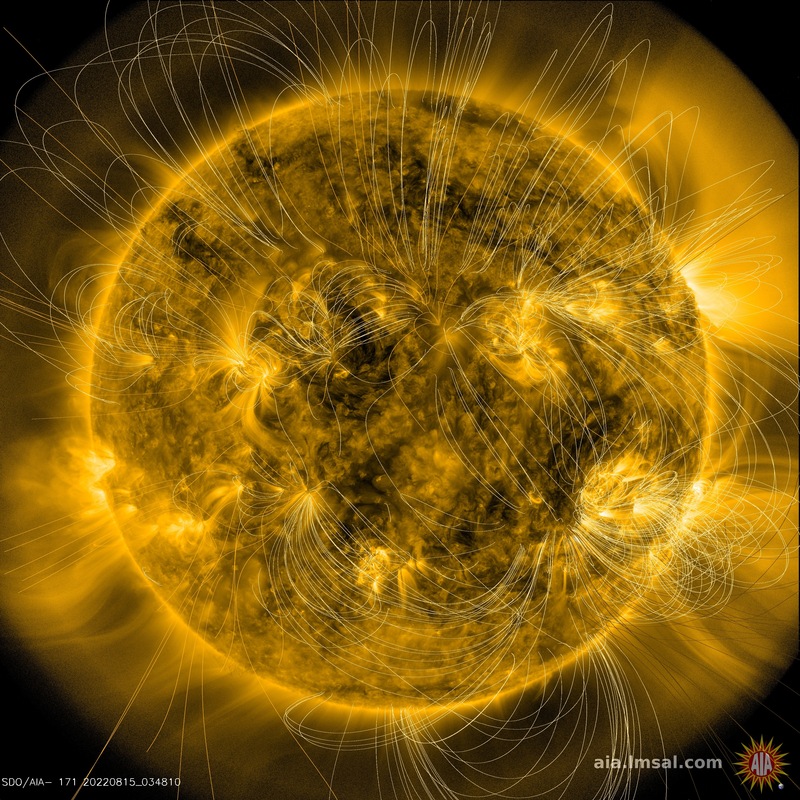 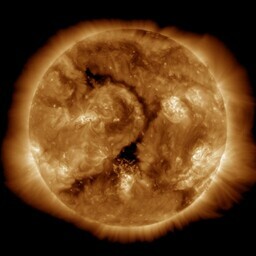 The NASA Solar Dynamics Observatory (SDO) mission consists of one sun observing spacecraft with three instruments which is located in a geosynchronous orbit around Earth. 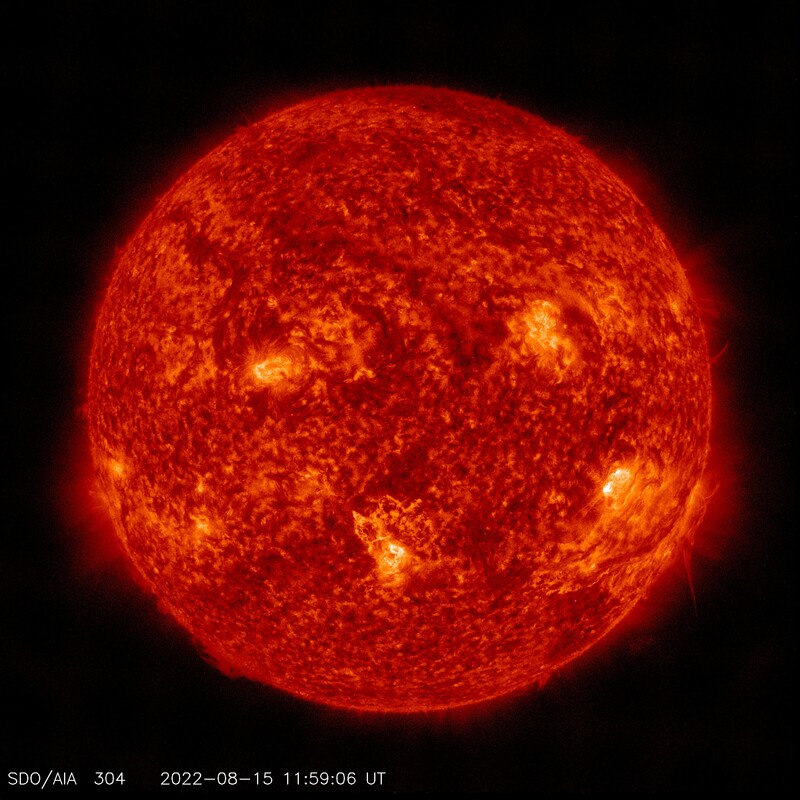 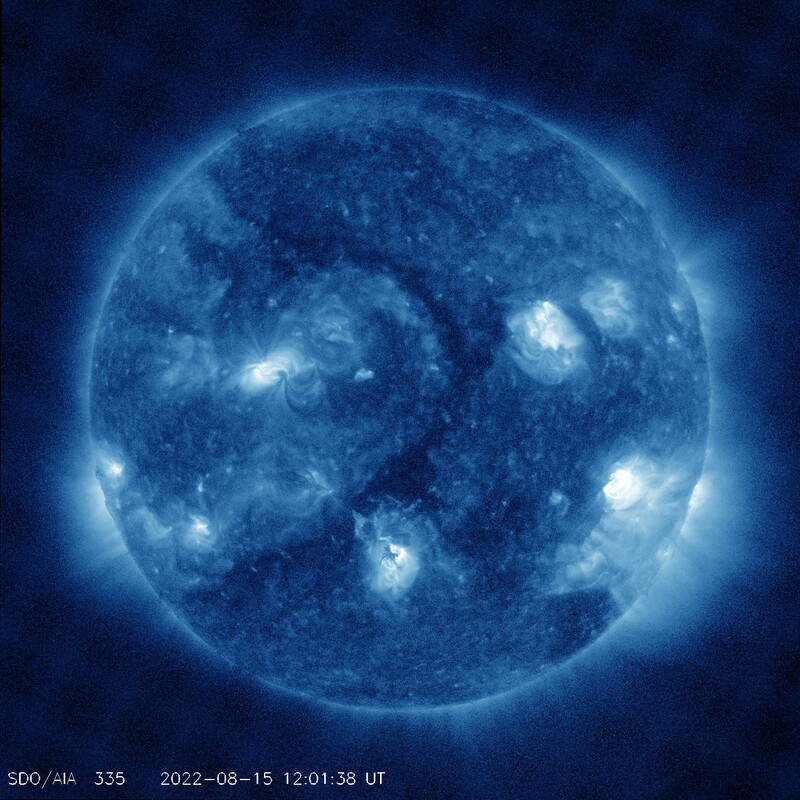 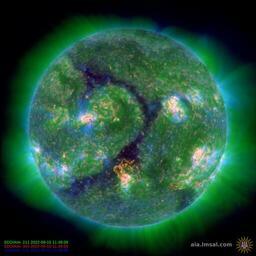 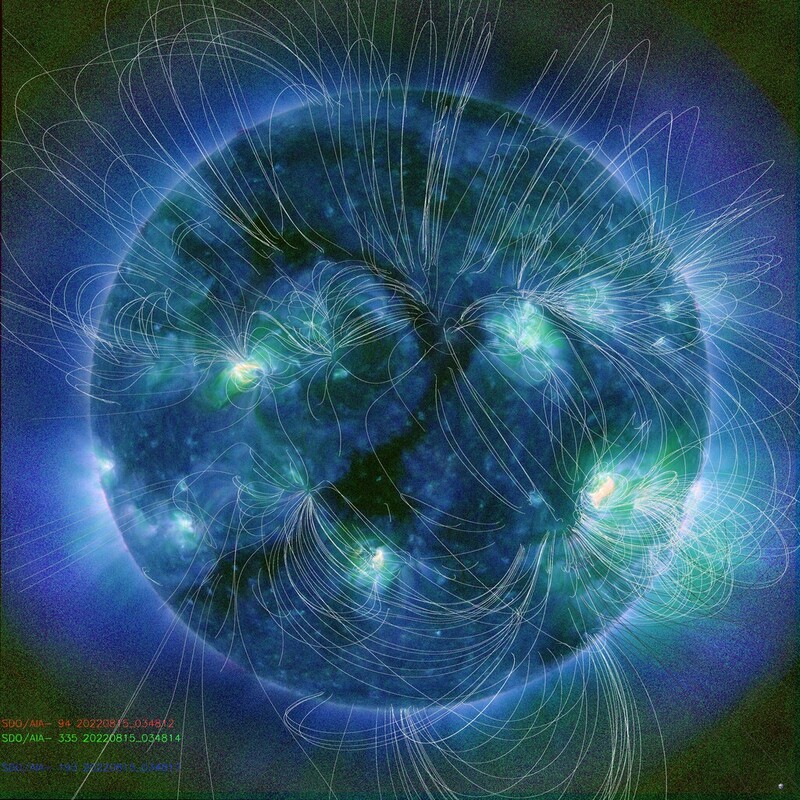 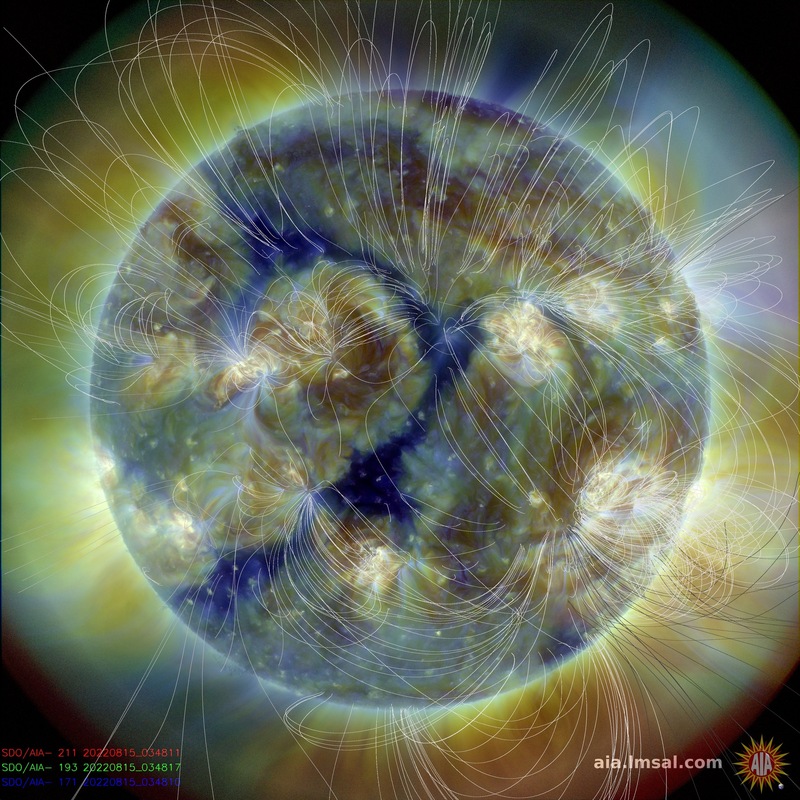 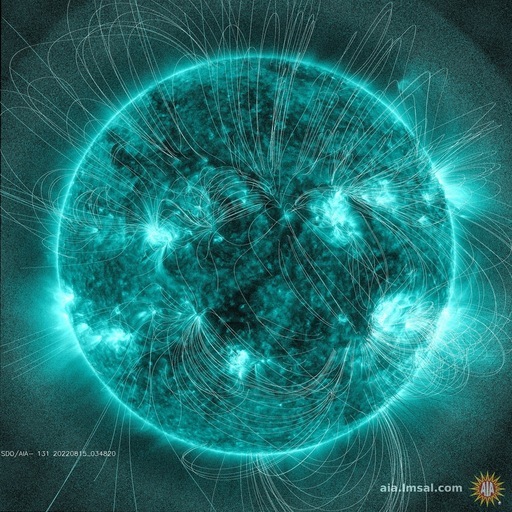 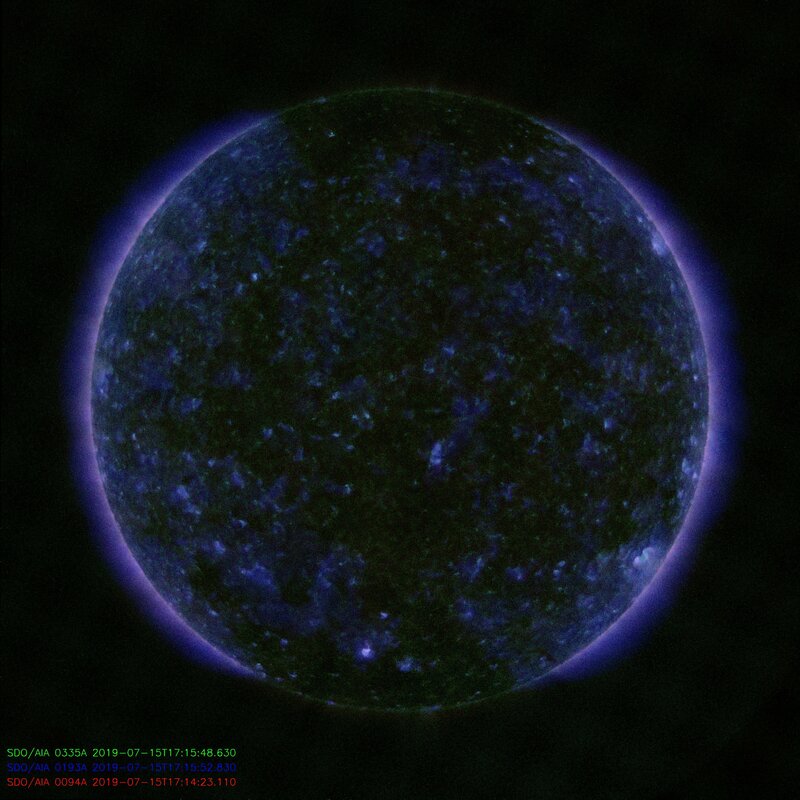 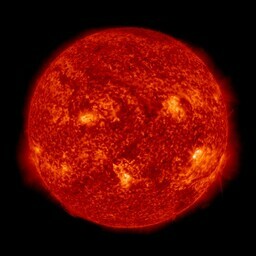 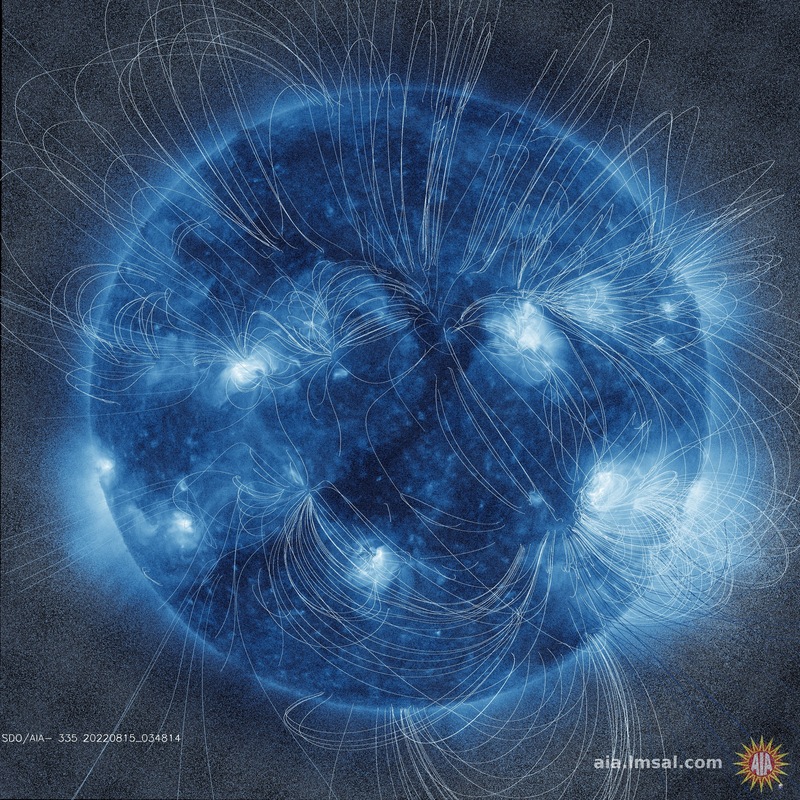 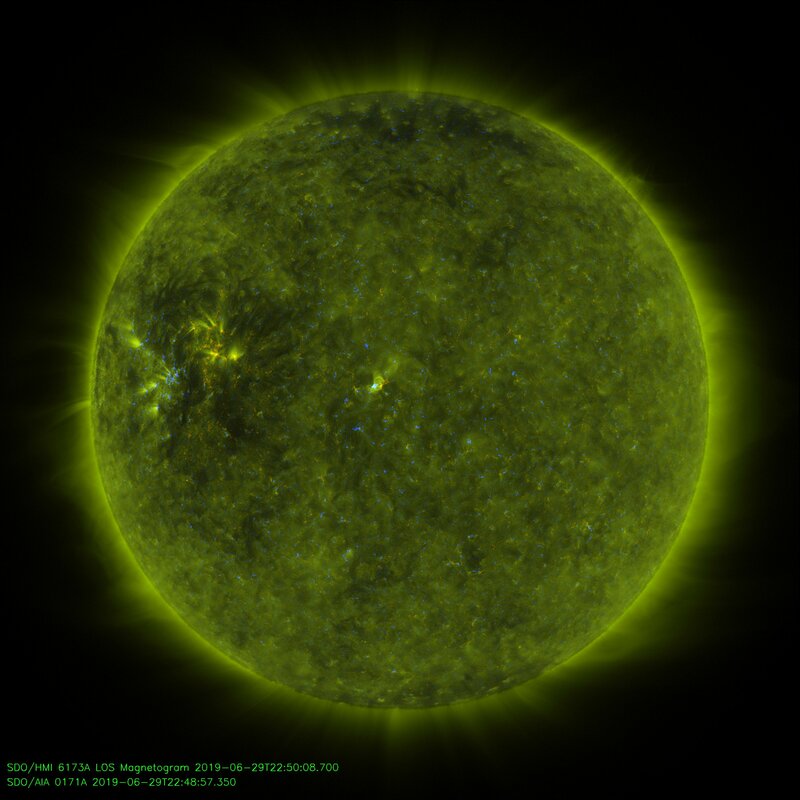 The AIA and HMI instruments provide us with solar imagery of unprecedented detail. 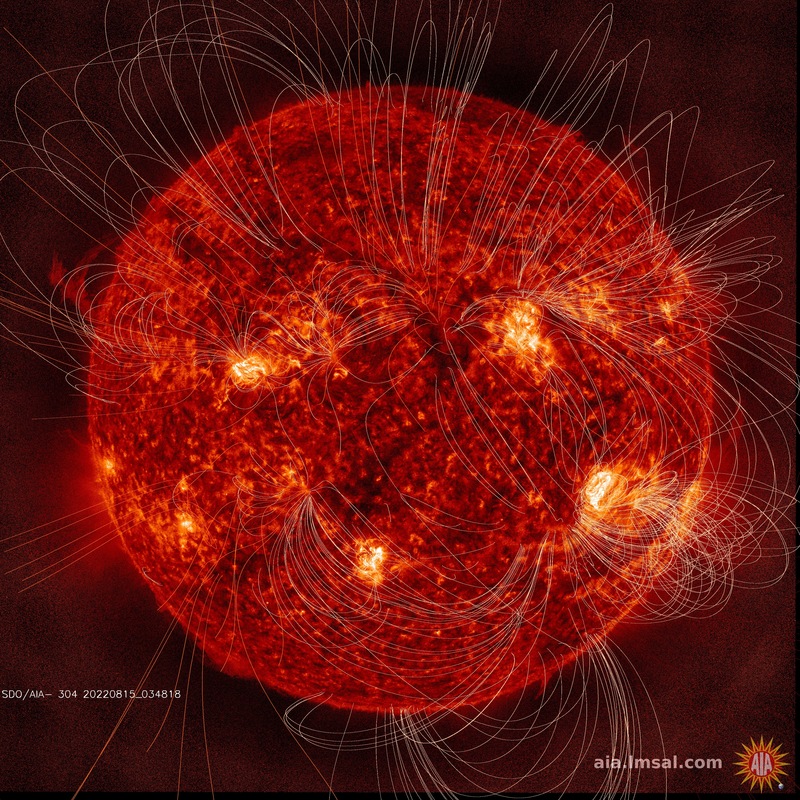 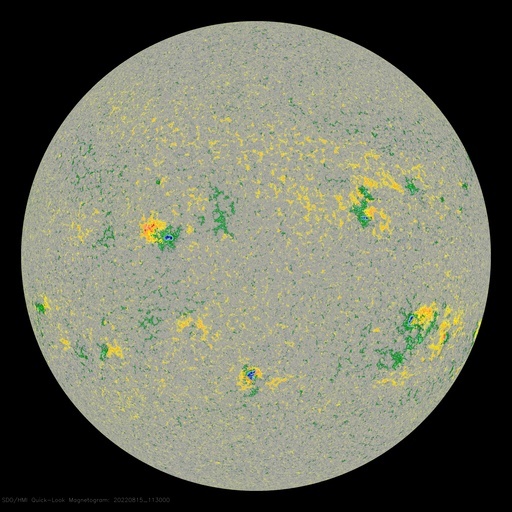 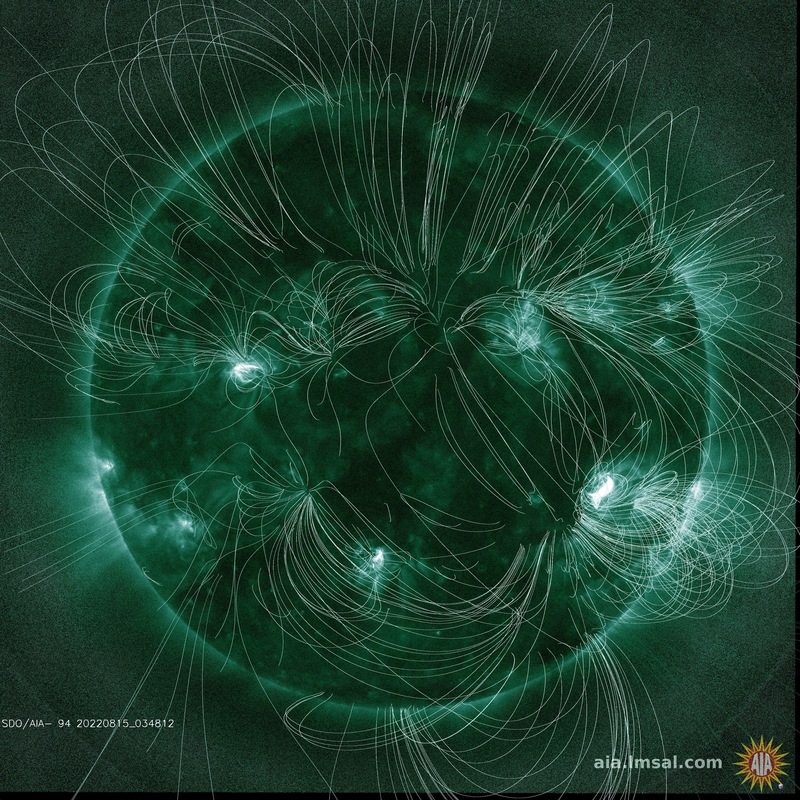 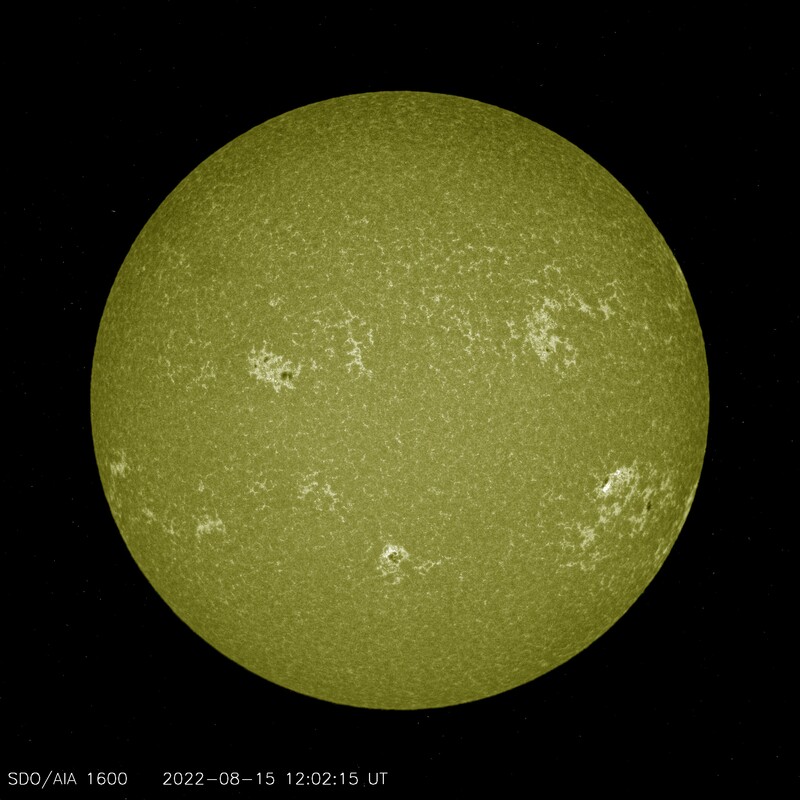 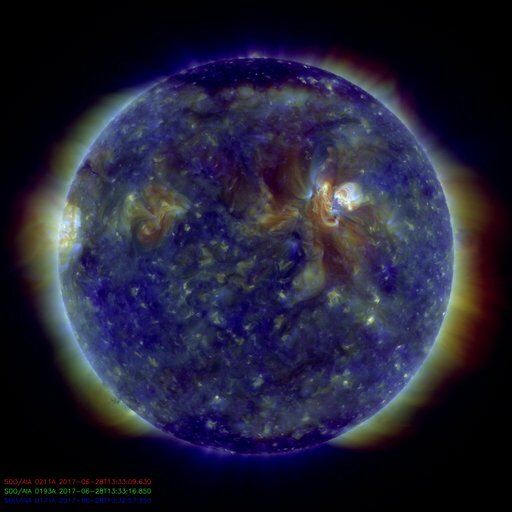 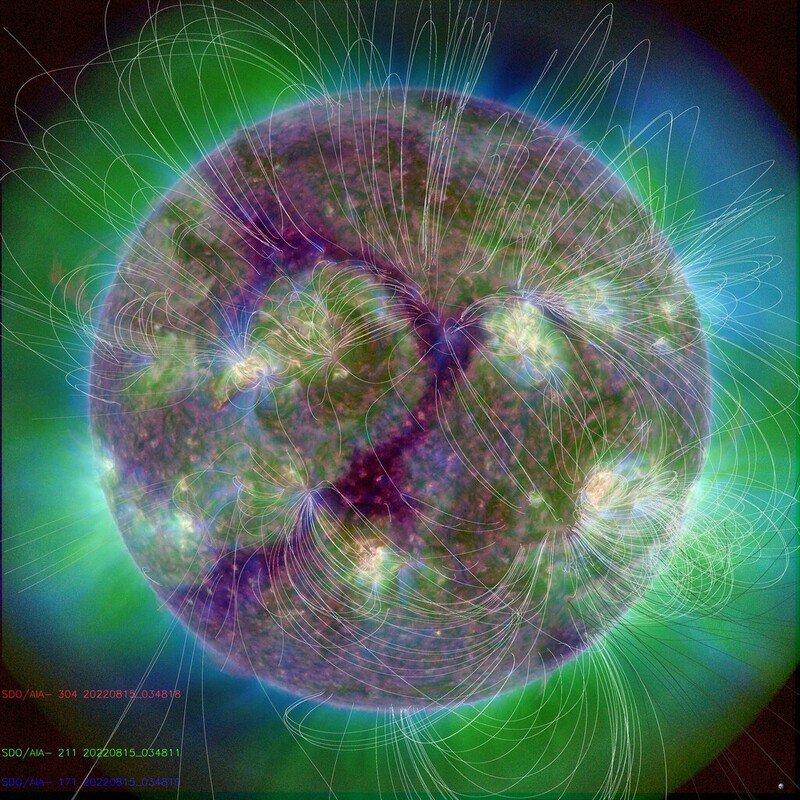 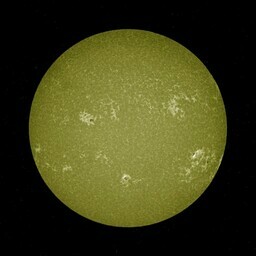 Below you will find numerous images of the Sun from these instruments in many different wavelengths, revealing many different solar phenomena like solar flares, coronal holes, sunspots and filaments. The numbers on the images below indicate the location of different sunspot groups. 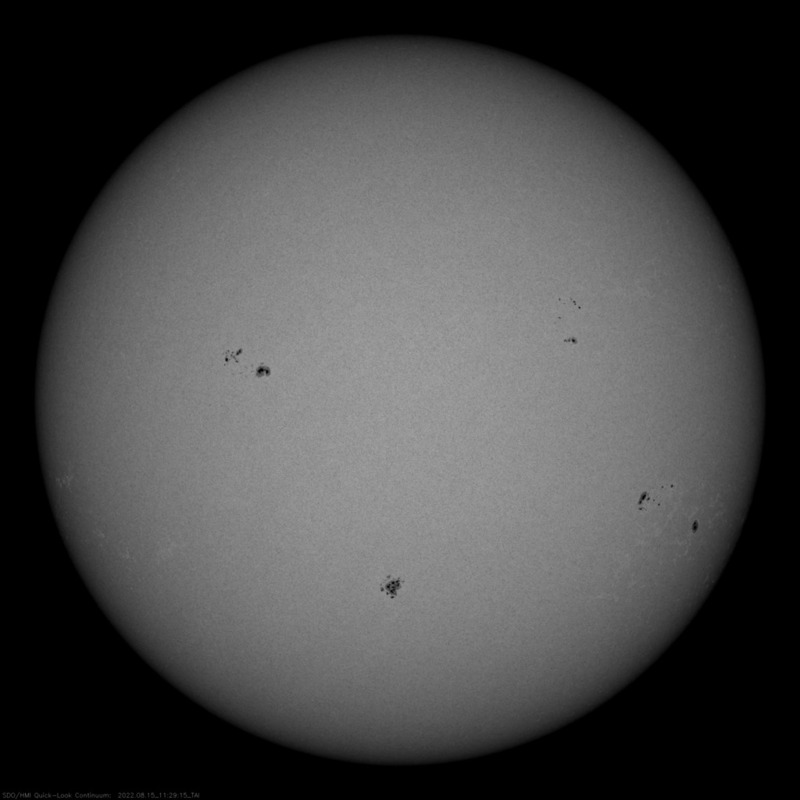 If there are no numbers then the Sun is currently devoid of numbered sunspot regions.